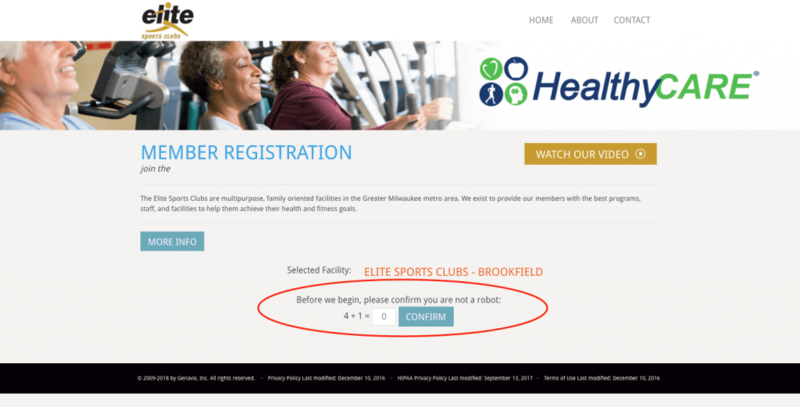 HealthyCARE 90-Day Program | Elite Sports Clubs: Where You Belong. Change the way you eat and think about food. Get exposed to different types of exercise. Available exclusively at Elite Sports Clubs – Brookfield. Groups range from 10-20 participants. Youth may participate if accompanied by a parent. We reserve the right to change or cancel classes based on enrollment. This is a lifestyle change, NOT just another diet or workout plan. The HealthyCARE 90-Day Program is a comprehensive wellness program that is designed to provide you with the knowledge and tools necessary to effectively manage your health and prevent chronic disease. With the guidance and support of your wellness team, you will learn the fundamental aspects of nutrition, exercise, stress management techniques, and behavior modification. At the end of the program, you will have acquired skills and motivation to sustain your goals for a lasting lifestyle change. 1-hour of exercise education that will cover proper use of equipment & form, basic strength training technique, group exercise classes, and more! “When I first started the Program I had expectations of what I wanted to get out of it but I was shooting too low. I never thought I would get the results I’m am still getting to this day. My goal when starting was to lose 5 to maybe 10 pounds, well I am currently at 16 pounds and still going down. I have had to buy new pants and belts and I have never been happier to do so. Normally if I have had to buy new clothing I have had to go UP in size. I attribute that weight loss to better eating habits and the support and coaching from my coach Sarah. Sarah sent out suggested meal plans as well as recipes that even a kitchen Knucklehead like me could follow. Through Sarah, I learned the cause and effect of eating poorly as well as eating healthier.